Post written by Howard Adelman and Linda Taylor, codirectors of the Center for Mental Health in Schools at UCLA, a whole child partner organization. Anyone working with children and youth these days is familiar with words like strengths, assets, and resilience. This reflects the progress made in moving beyond a deficit or problem-focused bias to incorporate approaches that build on motivation and promote resilience. Research indicates that external factors (related to neighborhood, family, school, and peers) are primary causes for most youngsters' learning, behavior, and emotional problems. Protective factors act as buffers to risk producing conditions. Resilience refers to an individual's ability to cope with risk factors. While efforts to reduce risks and enhance protection can help minimize problems, a focus on promoting healthy development goes a step further by focusing on establishing systems that foster full development, well-being, and a value-based life. Safe, stable schools and neighborhoods that provide enriched opportunities to promote student development, learning, and a sense of community go well beyond just strengthening resilience. They promote and enable resilience through a full continuum of interventions, including promotion of healthy development, prevention of problems, responding to problems as early as feasible after onset, and ensuring appropriate assistance for those with severe and chronic problems. To aid those interested in the topic of resilience, our center's Online Clearinghouse has a Quick Find on the topic. And, a few years back, we synthesized some of the available resources in a technical assistance sampler entitled Protective Factors/Resiliency (PDF). Howard S. Adelman, PhD, professor of psychology, is codirector of the School Mental Health Project and its national Center for Mental Health in Schools at UCLA with Linda Taylor, PhD. 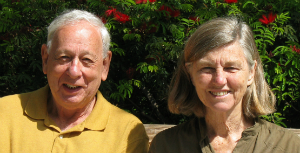 Adelman and Taylor have worked together for 40 years with a constant focus on improving how schools and communities address a wide range of psychosocial and educational problems experienced by children and adolescents.